Sonic Boom Pool/Snooker Scene Trophies. Available in 2 sizes, 170mm and 190mm high. Silver snooker/pool table and cues with gold highlight. 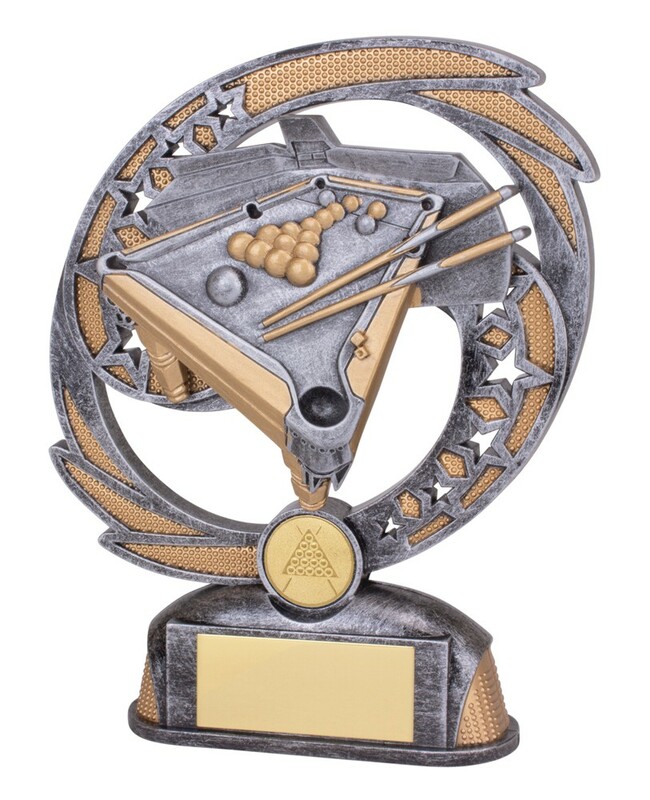 A perfect pool/snooker award to present to your players!